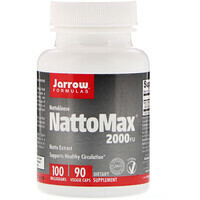 Jarrow Formulas NattoMax is a highly purified Nattokinase with vitamin K removed. Nattokinase is naturally occurring in traditional Japanese food (natto) fermented by Bacillus subtilus natto. 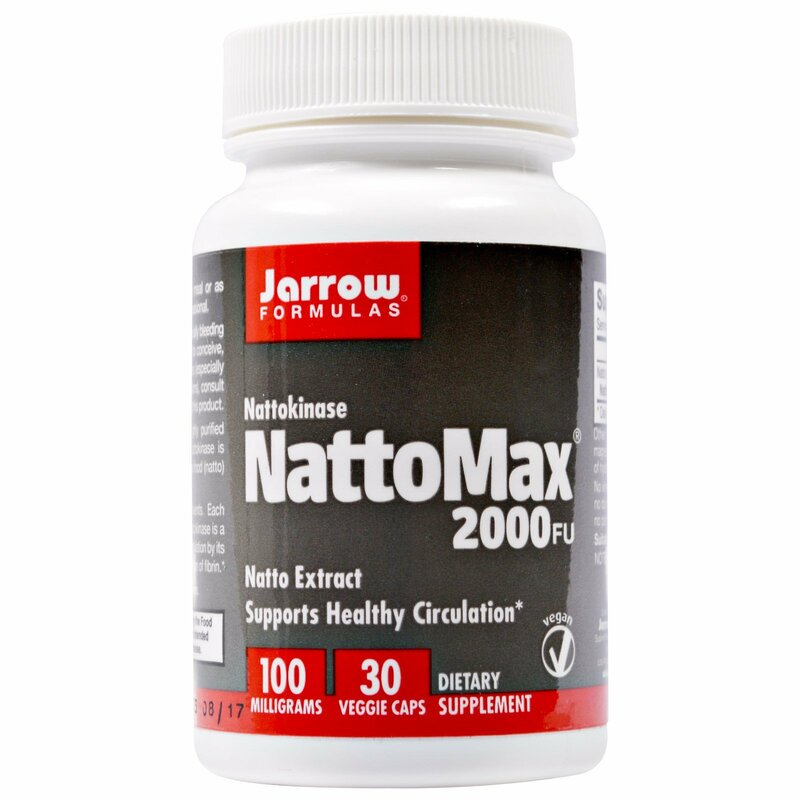 NattoMax is concentrated without solvents. 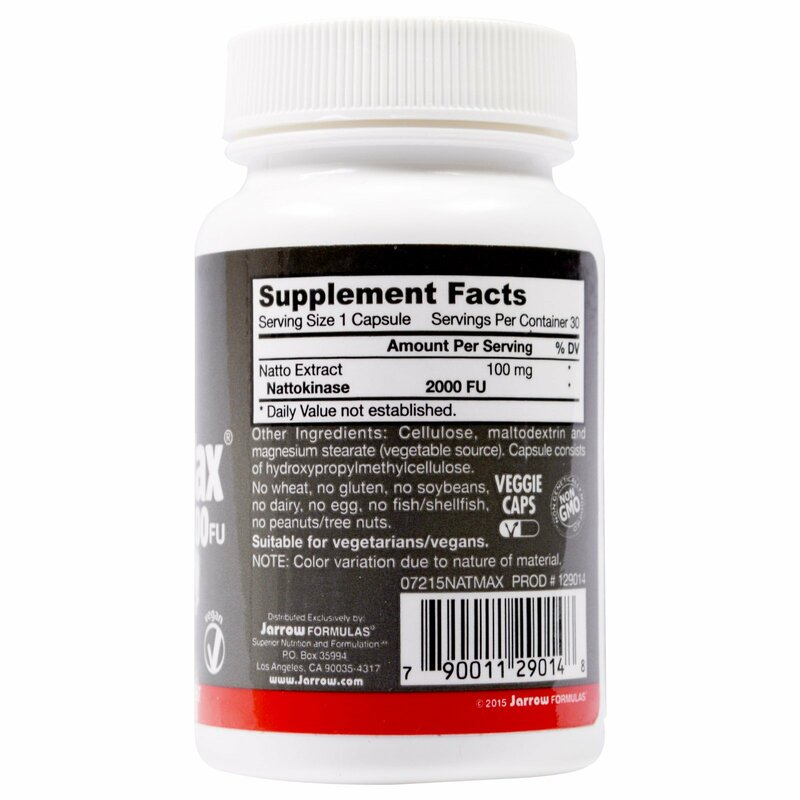 Each capsule offers 2000 Fibrinolytic Units. Nattokinase is a fibrinolytic enzyme that supports healthy circulation by its effects on serine protease-mediated digestion of fibrin. Целлюлоза, мальтодекстрин и стеарат магния (растительный источник). Капсула состоит из гидроксипропилметилцеллюлозы. Note: If you have a medical condition (especially bleeding disorders), are pregnant, lactating, trying to conceive, under the age of 18, or taking medications (especially blood-thinning or blood-clotting medications), consult your healthcare professional before using this product.